There was much confusion about canon law procedures concerning the dismissal of a priest from the priesthood, Adelaide's Archbishop Philip Wilson told a Royal Commission hearing yesterday, the Daily Mail reports. It took almost 20 years for the Pope to defrock an Australian priest for allegedly indecently assaulting a boy, the Royal Commission into Institutional Responses to Child Sexual Abuse heard. And when his bishop banned him from saying Mass in public after complaints against the priest, the Vatican overturned the decision. John Gerard Nestor was found guilty in court but was later acquitted of indecent assault charges against the boy in the NSW Diocese of Wollongong. A series of investigations ensued, involving canon lawyers, Australian church processes, the NSW ombudsman, and the highest echelons of the Vatican. Ultimately, Pope Benedict XVI dismissed Nestor from the priesthood in October, 2008. When more complaints emerged, then-Bishop Philip Wilson asked Nestor to stand aside from public ministry while the Church's professional standards office assessed them. Archbishop Wilson, then Bishop of Wollongong, said Nestor rejected a recommendation by Church assessors he go for psychological assessment. Then-Bishop Wilson decreed Nestor not celebrate Mass publicly. Nestor challenged the decree and two years later, the Vatican's Congregation for the Clergy ordered his reinstatement. The Commission heard that another Vatican judicial body, the Apostolic Signatura, took five and a half years to consider an appeal to the finding. 'There was a lot of confusion about procedures within the Church (at the time),' Archbishop Wilson said in reply to a question about rights under canon law. The 14th public hearing of the Royal Commission into Institutional Responses to Child Sexual Abuse commenced in Sydney today. The hearing is examining the response of the Diocese ofWollongong to allegations of child sexual abuse made against a former priest of the Diocese, John Nestor. Nestor was convicted of indecently assaulting a 15-year-old boy in Wollongong in December 1996. He was acquitted on appeal. Over the next 11 years the question whether Nestor should be allowed to function publicly as a priest was the subject of Church processes both in Australia and at the Vatican. Ultimately, Pope Benedict XVI dismissed Nestor from the priesthood in October 2008. This case study involves the interaction of the processes under Towards Healing with processes under Canon Law. Former chancellor of the Diocese of Wollongong and private secretary to Bishop Murray, Fr Graham Schmitzer gave evidence that described his role in the Diocese and how he had reported to the police a complaint that indicated Nestor may have sexually assaulted a young teenage boy. Fr Brian Lucas, General Secretary of the Australian Catholic Bishops Conference, gave evidence about his role in the Nestor case at a time before the sexual abuse complaint was made. Fr Lucas was a member of the Church's Special Issues Committee and Special Issues Resource Group prior to the commencement of Towards Healing. Archbishop Philip Wilson of Adelaide then gave evidence. He became Bishop of Wollongong on 10 July 1996. He described his experience dealing with the Nestor case. He also described how Canon Law and Towards Healing intersected and the workings of the relationship between priest and bishop under Canon Law. Archbishop Wilson will continue to give evidence (today). 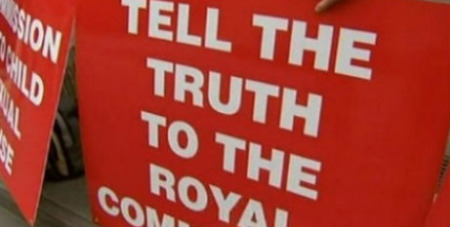 Latest Truth Justice and Healing Council update from the Royal Commission here.